Residential investment contributes 3-5% of the U.S. 19 trillion GDP. That means it’s a proven income earner. So you’re sure to be overwhelmed by the available options on how to raise capital for real estate development. Your choice will depend on which option suits you. Good news if you’re considering traditional bank financing: for the first time in nearly 3 years, banks have eased standards on commercial real estate loans. That’s probably an incentive to revive traditional bank financing. Indeed, the 5 largest U.S. banks experienced the worst quarter within the last twenty years: originating less than $87 billion worth of residential mortgages in Q1 2018, down from the previous quarter’s $110 billion. Admittedly, bank mortgages involve extensive requirements. Recent pay slips: To gauge your current earnings. Self-employed applicants or those with other income sources can show proof using such means as 1099 forms and direct deposits. Bank statements: Help determine if you have reserve mortgage payments to last several months, in case of emergencies. W-2 forms and tax returns: Meant to affirm consistency of your annual income with your payslips’ reported earnings, as well as identifying income fluctuations. Credit history: Evaluating your risk which can reveal such blemishes as a previous foreclosure. All that means: having minimal debt, a great credit score, a good and stable income, and the patience to handle the paperwork. If you meet all such requirements and have the cash for the down payment (about 20-25% of the purchase price), you’ll certainly benefit from the low-interest bank mortgages. As the banks’ mortgage market share shrunk, the credit unions’ share expanded from 8% in Q2 2016 to 10% in Q2 2017. Although similar to banks, credit unions clearly offer a fairer option. A key feature that sets apart credit unions from banks is customer service. Banks have a lower customer satisfaction than credit unions which achieved a score of 82 out of 100 in a 2017 customer satisfaction report. That’s saying something considering that banks typically have many more branches and technological advancements. It could have a lot to do with the fact that credit unions are member-owned. However, that also presents an extra huddle for loan applicants due to the added membership requirements. That’s besides maintaining a savings and checking account with the credit union. It’s not just about maintaining those accounts but also building a relationship and record of financial information with the institution. You could have standing pre-approvals for secondary financing. Of the $7 trillion U.S. commercial real estate market, crowd-funded residential investments contribute $2.5 billion. And that is sure to increase, considering that the global peer-to-peer lending market is projected to reach $460,312 million in 2022, up from $26,064 million in 2015. This unconventional mortgage is certainly worth considering. A central marketplace matches lenders (individuals and investors) with borrowers through an online service. The fact that it has minimal overhead costs (workforce, other business lines, and branch networks) unlike banks means your P2P loan can be amazingly low. Of course, you need a good credit score, but can still get by with a less-than-perfect one. If you’re still set on getting a loan from traditional banks with lower requirements, you can go for the Federal Housing Administration (FHA) loans. Here, first-time home buyers benefit from lower down payments. Since the FHA insures such loans, lenders offer lenient terms. Borrowers benefit from FHA loan protections, which they can’t find in a traditional mortgage. But it’s still based on your credit history. 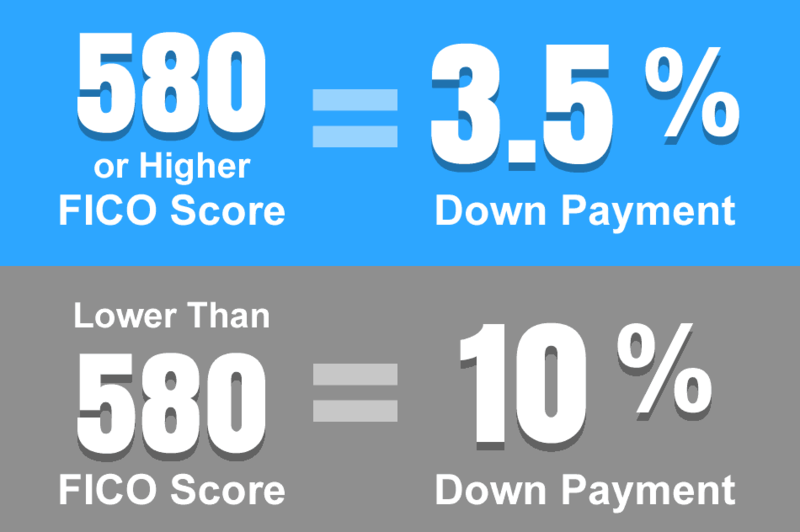 To qualify for the low down payment of approximately 3.5%, you must have a minimum 580 FICO score. Lower credit scores mean a higher down payment of about 10%. If you use the loan to set up a multifamily property, you can live in one unit while renting out the others. That means living rent free, gaining from appreciation while holding the property, as well as getting rental income. 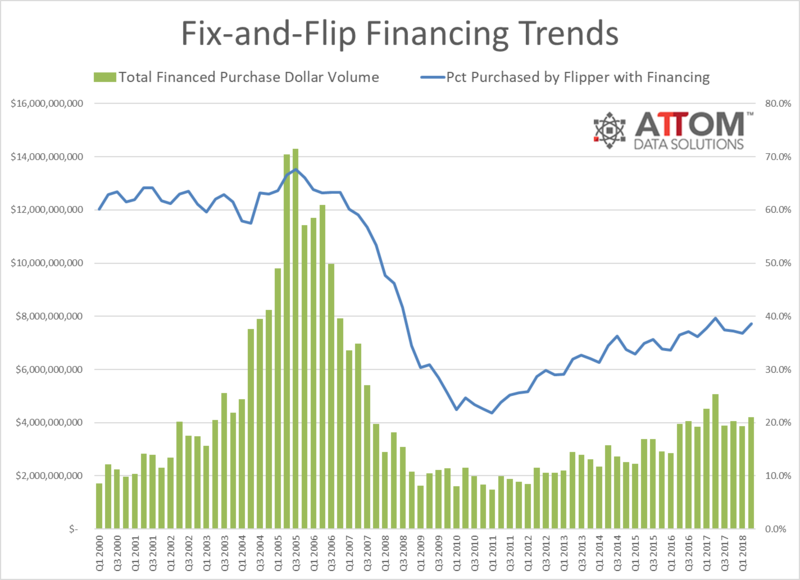 In Q2 2018, 48,768 condos and single family homes were flipped in the U.S. (a flip being a house transacted twice within 12 months between a willing seller and unrelated willing buyer). 38.6% of those houses were purchased with financing by the home flippers. Such home flippers would likely benefit from hard money loans. Typically, flipping involves property that’s in such bad condition banks won’t give a mortgage for them. Moreover, traditional bank loans often take time for approval and are based on a borrower’s credit score. Two things home flippers may not have. Fortunately, hard money loans are backed by the property you’re purchasing. This makes approval fast, without extensive requirements. However, you’ll likely pay an up-front, one-time fee to process the loan (a small price to pay for a loan that can be 100% of the home purchase price). And the interest rates are generally higher than traditional bank loans. Read also Best Hard Money Lenders For Real Estate Investing. This entry was posted in Business, Real Estate and tagged flip house, flip properties, real estate development, real estate investing. Bookmark the permalink. ← From debt to riches, is it still possible?